Chief Executive of East West Planners with over 35 years in the Meetings, Incentives, Congress, Events Industry. Harnessing technology, in mid-2015 East West Planners launched their own Interactive, web management portal serving the B2B audience. Users have access to current content and pricing with the ability to customize and book arrangements covering the Asia region. Future plans are to include more Asian destinations. Other areas of Janet’s work encompass business tourism development and consultation, working closely with major industry players, national tourism boards, locally and overseas. • Board Director Social Enterprise - I’m Soul Inc.
Training and Speaking Engagements – as early as the 1990s Janet’s commitment to training took her throughout Asia where she facilitates, teaches, shares and lectures to industry practitioners and students. Recognized as a MICE Industry expert, her speaking engagements span across the Asia region and other parts of the world. Throughout her career, Janet has won several accolades for the company as well as for herself. She was recently conferred the Lifetime Achievement for Outstanding Contribution to Tourism award at the Singapore Tourism Awards 2017, and was bestowed with the PCMA 2016 Global Meetings Executive of the Year award. Other prestigious awards include the DOM Benedictine Working Mother of the Year award in 1990, and the Travel Personality of the Year for Asia Pacific award at the EIBTM Show, Geneva, Switzerland, 1995. Her key aspiration is to contribute to the future growth and progress of the “Meetings, Congress, Incentive and Events” industry in Asia Pacific, by mentoring and nurturing young talent to be leaders and champions of the future. She lives by example where her personal curiosity and passion for the business drives her to continued personal growth. She has finished her ACTA professional training course, to equip herself to further champion her cause for ‘Service Quality’ and ‘Service Management’ excellence. She believes that technology will help in the growth of the Tourism industry, and, in the past 2 years, has invested in a B2B interactive technology platform, which she conceptualised. She is now working with her partners to introduce this platform to the industry so that the industry can also benefit from it. Janet firmly believes in work life balance and whenever possible she spends time with her family members who live abroad. In addition, she enjoys travelling, fine dining and music and feels these exposures add to the enrichment of her personal life and well-being. Since 2012, Herve Joseph-Antoine is the Global Managing Director of Pacific World, global Destination and Event Management company leader headquartered in Asia and operating in 30 countries around the world including Asia, Europe, Middle East and Africa. Pacific World formed an alliance with ACCESS Destinations in the United States, forming the first and largest MICE integrated Destination offering with more than 100 destinations and 500 MICE experts worldwide. In the past 2 years, Pacific World received many awards such as “Top Business Events companies” in Asia by CEI Magazine, and also leading Inbound Travel Agent in Indonesia and Best Incentive Award in Malaysia. Herve was previously since 2008 the Vice President Meetings & Events Europe Middle East and Africa at Carlson Wagonlit Travel, based in Paris. Herve managed 26 countries and a team of 500 employees and led the European region move to Strategic Meetings Management with clients such as Pfizer, Apple, Eli Lilly. Herve has been working the travel industry for 20 years, starting with airlines and travel agencies. He has degrees in Applied Mathematics, Financial markets and with experience in Consulting, Sales, Account Management and Marketing. He is a regular speaker at MICE conferences and in the media, member of industry boards and faculty member at Paris-East University from 2008 to 2012. Born in Morocco, Herve holds both French and Indian citizenships and resides in Singapore with his family. Currently, she is also the Honorary Treasurer at Singapore Association of Convention & Exhibition Organisers & Suppliers (SACEOS). She has held the position of Vice President :Conference Organisers (2009-2014) and a Co-Chair of SACEOS’ MICE+E Database & Statistics project (2011 – 2012). A leading Professional Conference Organiser (PCO) and respected veteran of the Conventions industry in Asia, Nancy brings with her more than 20 years of experience in managing regional and international business events. She is also active in giving talks as an invited speaker at tertiary institutions, business summits and conferences within the Asian circuit, and a regular trainer with SACEOS. Recognized as a trendsetter, Nancy offers a fully-integrated platform at Ace:Daytons Direct. Ace:Daytons Direct created and administered a whole spectrum of online solutions for ITB Asia for four consecutive years since year 2009; including online exhibition booth bookings, allocation, online exhibitors’ manual, online registration management system of hosted buyers and exhibitors with e-commerce facilities, buyer and seller matchmaking programme, online diary. Ace:Daytons Direct also provides a complete suite of on-site. registration, logistics, speakers’ management, rooms management services as well as hotel accommodations. With her guidance, her team at Ace:Daytons Direct has won the “Best Association Conference” for the “10th Asia Pacific Congress for Endoscopic Surgery 2011” at the inaugural “Asian Conference Awards 2012”, held in Singapore. Nancy continues to pursue higher excellence by upgrading current resources and technologies for her growing clientele list. Executive Director, Marina Bay Sands. Marina Bay Sands is an integrated property with 2,561 hotel rooms, 1.2million sq ft of Meeting & Expo space, 300 retail shops and 60 restaurants. Marina Bay Sands is the leader in the hosting of Business Events and is the main meeting facility in Singapore. Wee Min’s portfolio encompasses Marina Bay Sand’s sales and marketing processes and activities for the various market segments in Association Meetings, Tradeshows and Events both locally and internationally. Prior to joining Marina Bay Sands, Wee Min last served as the Chief Commercial Officer at Suntec Singapore where he oversees all commercial activities and strategic development for both Suntec Singapore (which manages the award winning Suntec Singapore International Convention & Exhibition Centre) as well as Suntec International (An international venue management consultancy firm that serves convention & exhibition facilities globally). At Suntec Singapore since 1999, Wee Min has worked in various leadership positions across both operations and sales; leading the organization’s Operations Division and Sales Division from 2008 – 2010 with over 230 staff under his charge. He has accumulated extensive experience in the planning, execution and delivery of the largest and most iconic events that Singapore has hosted in the past 10 years. Wee Min was the overall lead for the successful planning and execution of the Annual Meetings of the Governors of the World Bank & IMF (2006), the International BAR Association (2007), APEC Leaders’ Week (2009) and the Singapore 2010 Youth Olympic Games. Wee Min represents Singapore at various international tradeshows and works closely with international associations to position Singapore as a premier destination for global events. Wee Min is passionate about the Meetings and Business Events Industry. As part of his effort to contribute to the industry, Wee Min serves on the Global Taskforce of the Professional Convention Management Association (PCMA) since 2009, the International Sections Council of the American Society of Association Executives (ASAE) from 2010 – 2013. Wee Min has been voted into the Executive Committee of the Singapore Association of Convention & Exhibition Organizers & Suppliers (SACEOS) in 2012 by his industry peers. SACEOS is the association that represents the interests of the Business Events, Meetings and Tradeshow industry in Singapore. In 2013, Wee Min was voted unanimously by his peers as the Honorary Secretary of SACEOS where his duties include the overseeing of the Secretariat operations, charting of regional growth strategies for the industry and defining the direction of continuing education in the local industry. Wee Min holds a Bachelor in Economics from the National University of Singapore with a second major in Political Science. He is Singapore’s first graduate of the Public Venue Management School in Australia and holds a CMP certification from the Convention Industry Council. Socially, Wee Min serves on the Advisory Board of Singapore Polytechnic for the curricular development in Business Events Management. Wee Min also serves on the School Advisory Council for his alma mater. Wee Min is married to a fellow Meeting Professional from 2008 and enjoys a quiet game of golf with his wife and friends in his free time. Sam Lay is the head of Asia Pacific meetings operations for BCD M&I where he is responsible for driving the implementation of strategic meeting management programme (SMMP) initiatives across the region. Prior to this, he was the regional meetings lead for MSD in Asia Pacific and Japan where he led a regional team in developing SMMP capabilities for the organization. Before MSD, Sam spent more than 5 years in Suntec Singapore as the Assistant Director of Business Research where he oversaw the incubation of new business accounts and the development of key convention center projects in the region. Sam brings with him more than 15 years of experience spanning across diverse business sectors in the MICE industry. He has a business degree specializing in International Tourism and he is also a CIC certified meeting professional. Eileen leads the Automotive and Commodities cluster of SingEx Exhibitions, a subsidiary of SingEx Holdings which is wholly-owned by Temasek Holdings. She is responsible for defining the strategic directions and driving the execution of the events under that cluster including Tyrexpo Series which spreads across Africa, India, Singapore and United Kingdom. With a strong passion for the MICE industry, Eileen has led, mentored and developed project teams, managed and launched regional tradeshows for some of the leading event organisers in the world. Before joining SingEx Exhibitions, Eileen worked with Reed Exhibitions, Spinergy Inc, IIR Exhibitions (now Informa Exhibitions) and Koelnmesse. Over the last 13 years, Eileen had the opportunity to work on exhibitions across different genres such as media, automotive, commodities, building, road & rail, maritime and clean energy. Her past event portfolios included Asia Television Forum, Asia Film Market & Conference, Asia Animation, International Design Forum, UIA Regional Forum, Asia Pacific Maritime, Maritime Vietnam, INMEX China and Viet Transport (Road & Rail), Clean Energy Expo Asia and Macao International Environmental Co-Operation Forum and Exhibition (MIECF) 2011, a clean energy exhibition initiated by the Macau government. An individual with a strong passion to mentor and groom the next batch of exhibition organizers, Eileen was an Associate Lecturer and eventually a full time Lecturer with the School of Hospitality at Republic Polytechnic. She was in charge of developing academic materials for the MICE modules, served as the industry liaison and spearheaded various taskforces for academic research. She was also part of the academic team to develop and lecture the inaugural Polytechnic Foundation Programme (PFP) intake in Republic Polytechnic. She graduated from the University of New South Wales, Sydney, Australia with merit in Bachelor of Commerce, and a double major in Marketing and Japanese Business Communications. Daniel Chua is Founder and Chief Executive of AONIA Private Limited, a client-enabler that architectures and delivers highly-customized motivational and inspirational Events that help organizations attain the fullest potential of their team and stakeholder relationships. Daniel has managed successful Programmes and Experiences in cities including Bali, Bangkok, Beijing, Barcelona, Hanoi, Ho Chi Minh City, Kathmandu, Taipei and Singapore for clients SME and MNC clients involving C-suite leaders, senior scientists and management personnel. Daniel is Passionate about partnering clients to architecture and deliver highly personalized Programmes and Experiences that help motivate and inspire client stakeholders for optimal organizational effectiveness, leveraging upon his global network of partners and associates including award-winning speakers, management consultants, coaches, and subject matter experts across a range of industries, skills and geographies. Daniel has valuable business experience and networks in Education & Training, Branding, Marketing Communications, Travel and Events working with clients and stakeholders in the Automobile, Agricultural, Association, Aviation, Beauty, Chemicals, Energy, Finance, Fashion, Hospitality, Luxury, Pharmaceutical, Technology, Travel, Water, Government and Not-for-Profit sectors. Daniel is keenly involved developing the Business Events industry, he has been VP (Meetings & Incentives) of SACEOS and chair of the SACEOS Young Leaders (2012-present); he mooted the idea of the Singapore MICE Challenge now in it’s 3rd year running (2016), and is a winner of the inaugural AFECA Young MICE Professional Awards 2015. He is also an Editorial Advisory Board member of regional trade publication BizEventsAsia. Mr. Edward Liu is the Group Managing Director of Conference & Exhibition Management Services (CEMS), which operates in Singapore, China, Indonesia, Malaysia, Philippines, Thailand and Vietnam. In China, CEMS organizes four tourism exhibitions, including the Beijing International Tourism Expo (BITE) series, which is the largest event of its kind in Beijing. Mr. Liu is the current President of the Asian Federation of Exhibition & Convention Associations (AFECA) and an Honorary President of the Singapore Association of Convention & Exhibition Organisers & Suppliers (SACEOS), which was founded in 1979. Furthermore, Mr. Liu sits on the Board of Directors of the International Association of Exhibitions & Events (IAEE), based In Dallas, USA and is also advisor, exhibition industry, to the China Council for the Promotion of International Trade (CCPIT), the Chengdu Municipal Government, Sichuan; the Chongqing Convention & Exhibition Bureau (CCEB) and the Macau Convention & Exhibition Association (MCEA). Mr. Liu, who holds a Master of Business Administration (MBA) from the Brunel University in the United Kingdom and a Diploma in Management Studies from the University of Chicago, USA; is also the Honorary Consul General for the Republic of Cote d’Ivoire in Singapore . In addition, Mr Liu is the Chairman of the Tanjong Pagar United Football Club (TPUFC), a Council Member of the Football Association of Singapore (FAS), Patron of the Queenstown Citizens Consultative Committee (QCCC) and an adjunct faculty member of the National Community Leadership Institute (NACLI) under the People’s Association (PA). 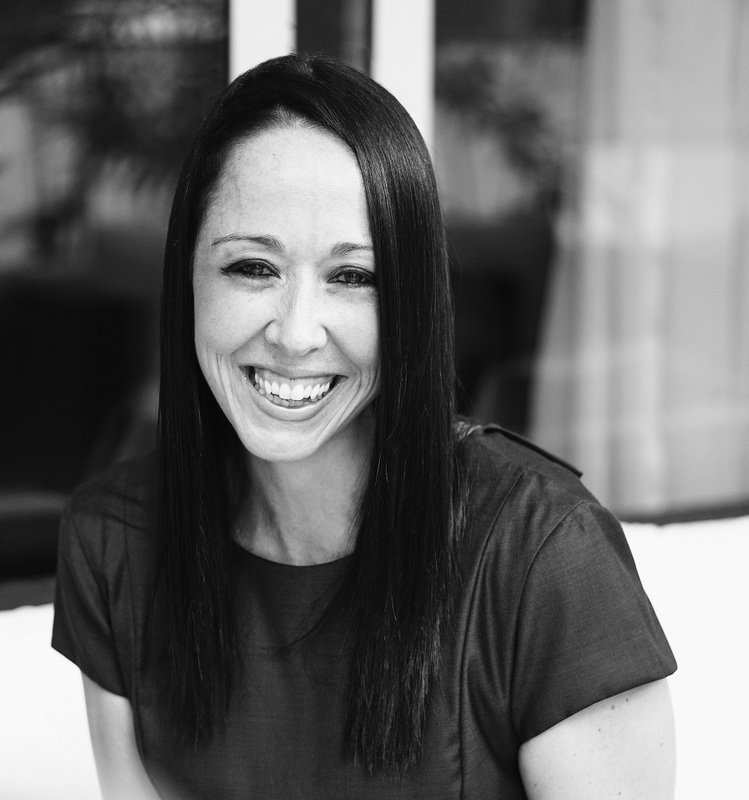 A passionate, committed and energetic communicator, Felicity Zadro has more than 16 years’ experience in designing and managing communications for a range of organisations. In 2007 Felicity founded Zadro (previously Zadro Communications) to provide an integrated strategic communications solution to market and to enable her to work with her passion to support the growth and development of companies through excellent communications. Today, Zadro employs 16 highly skilled and dedicated communications and design professionals. In 2017, Felicity was nominated as one of the most influential female entrepreneurs by a panel of business leaders organised through Fairfax. With her extensive education and experience, Felicity brings a unique approach to communications. Her training in sociology and anthropology, love of strategy, experience in leading numerous market and social research projects, training in change management and leadership, combined with her business acumen, allows Felicity to broaden the standard scope of communications practice. In 2009 Felicity designed and launched Zadro Agency’s own strategic planning tool COMM*BAT™ which has seen many organisations articulate their offering and take their business to the next level through powerful facilitated strategic planning programs. Felicity has held positions on Association Boards, is a published author, having written numerous articles and resources on a variety of communication management topics many of which can be found on her personal blog at felicityzadro.com and has been a keynote speaker locally and internationally speaking on integrated communications topics. In 2004 she received the International Prize in Public Relations Research (Asia/Pacific Region) for the highest academic result for her Master’s thesis. Chester graduated from the University of Reading, England with a BA (Hons.) in Business Economics in 1987. Upon graduation, he joined Singapore Airlines and over his 10-year experience with the airline, held a variety of management positions in Singapore, Hong Kong and Malaysia. Chester moved to Reed Exhibitions Singapore in 1997 as the Project Director for Asian Aerospace, the largest aerospace and defence event in Asia at that time. He subsequently developed and managed a portfolio of international trade shows and conferences in Singapore in a variety of industries including electronics manufacturing, pharmaceutical manufacturing, healthcare and education. After 11 years with Reed Exhibitions, Chester joined MCI Singapore in 2008 as Director – Institutional Division. In addition to his role as Regional Director (Asia Pacific) for the Million Dollar Round Table (based in Chicago, USA), he led the MCI Singapore Association Management & Consulting team in developing and implementing strategic plans in the Asia Pacific region for international professional associations to grow their presence in the region.